Following our fellow reputable publishers The New York Times and The Economist, this blog has something to say about this election. After a fierce campaign so close as if trying to tell one’s left hand from one’s right, it is time for Americans to choose their President. And so it is for the rest of the world, never mind that they have no say on the matter whatsoever—my son who is in elementary school is still being asked by his teacher to vote in class tomorrow, never mind that he is underaged, and not a citizen. Now even though at this point the left hand (read: rest of the world) does not know yet what the right hand (read: Yanks) is going to do, it will all become clear, perhaps even before the last Californian at the poll booth votes—that is, if the West Coast states; also known as the left-hand-side of America; know there is an election going on, given how little they have seen of their candidates. 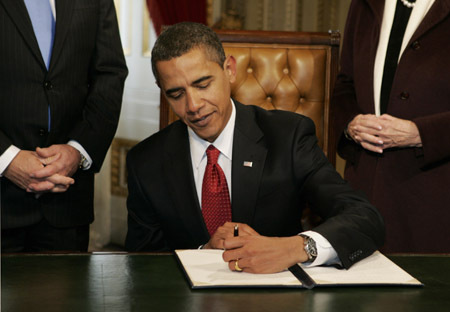 The election of Barack Obama as the 8th left-handed president of the United States was a landmark for us minorities, and cut our ever-closing American president handedness deficit to 28 (8-36). However we would have to agree with the NYT on the fact that his election did not usher in a new era for minorities in America, given that he did not pass any new legislation that recognized our rights as minorities during his term in charge. However, we believe that such legislation, although firmly out of left field, remains a greater possibility under Obama. Our hopes are left slightly dimmed but unextinguished. Voters need to know the last four right-handed presidents since Kennedy. They are: Johnson, Nixon, Carter and W. Bush. Compare their tenures with those of the last four left-handed presidents: Reagan, H.W. Bush, Clinton and Obama. This is in fact all that we have to say that is relevant to the election (we are after all a small publication). The rest is left to you, the (eligible) voter. The picture below sums up our choice for the 2012 presidential election (and serves as evidence for those of little faith in our fact-checking). This entry was posted in elections and tagged barack obama, elections, minorities, obama, politics, president, romney.